As promised, I'm back with a list of gift ideas for the men! To be honest, I'd never really enjoyed shopping for men's gifts because it's such a headache! You can generally find everything you need for the ladies in one shopping mall but not for the men. Anyway, all thanks to Etsy, I had an easier time searching for these gifts. In fact, I found myself secretly enjoying it. Without further ado, let's see what treasures I've got for you. Getting bored of seeing and buying the usual polyester or silk necktie? It's time for a change. Check out these unconventional hand-knitted ones! I really like the color of this piece. More colour options are available! 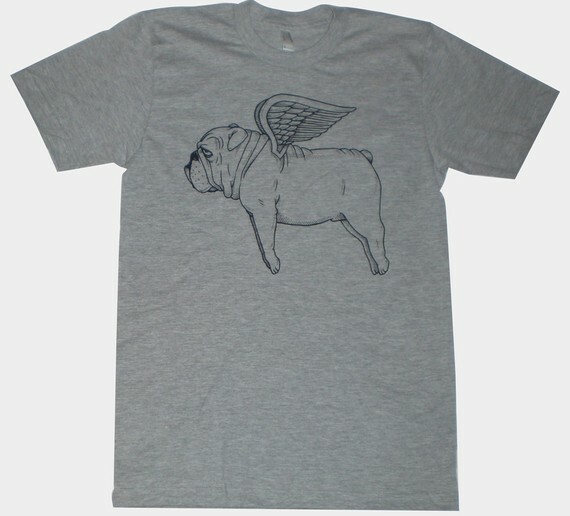 Next in line, is this super adorable 'flying bulldog' tee! This is so cuteeeee (he clearly doesn't enjoy flying. lol)! Other dog breeds designs are available too. Looking for something to keep him warm? 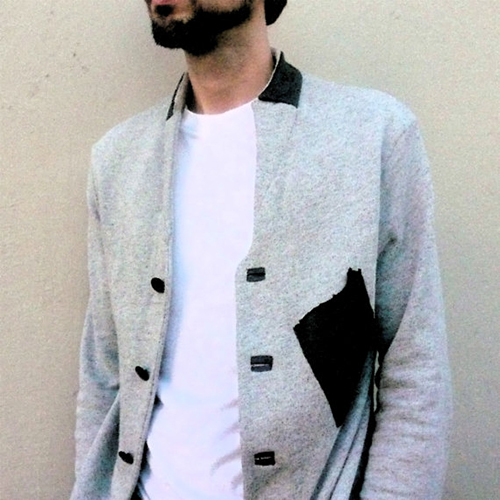 How about this gorgeous cardigan! Coming up next, I found this pair of quirky cufflinks. 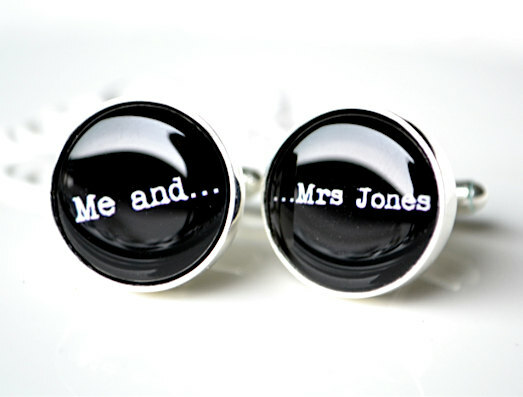 With over 800 types of cufflinks and other accessories to pick from, you'll certainly find something you like. Yes, they do custom design too! If your guy prefers the simple clean cut design, he might like this vintage-looking leather wallet. You can also have their initials embossed on the wallet! Now now, I'm getting very pleased with my findings. I hope you're as excited as I am because the list is just getting more and more interesting! Heh. For that split second when I laid eyes on this backpack, I wished I was a man (don't worry, it only lasted for that second). 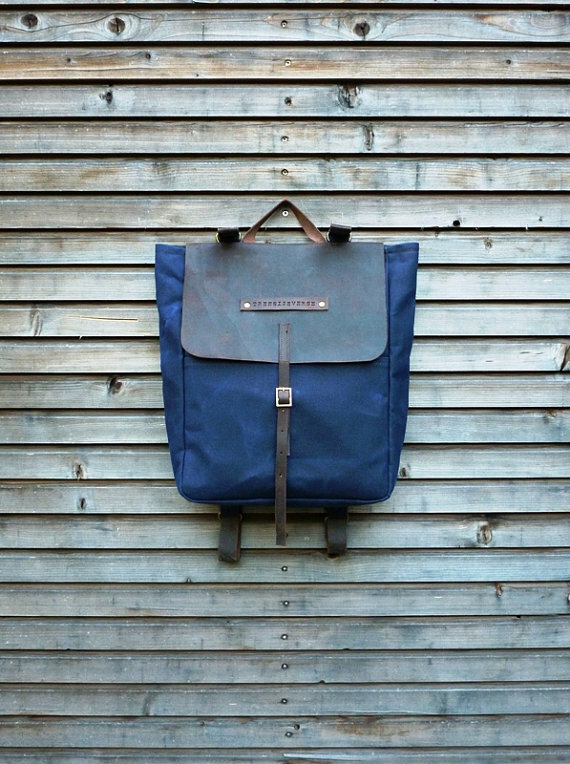 I know I can be a little overreacting sometimes, but tell me, isn't this backpack handsome? You got to check out this shop for other designs. I promise, you'll be spoiled for choices. Okay I'm doing it again.. sigh. But you can't blame me. This pair of vintage shoes are oh, sooooo stunning! Visit their shop for other mouth-watering designs. Looking for something besides the usual fashion stuffs? You got to love me for the ideas that follow. If you're in for a little prank, consider getting him this and watch out for his face as he opens up the box! Ha! I wouldn't have believe these are in fact soaps if I hadn't read the description myself. Unfortunately, these guns were sold yesterday. If he doesn't have a weak heart, I would like to propose something else... the fingers design, HERE. (For the consideration of my fellow readers, I made the tough decision to omit the photo). Okay okay, rest assure, there is nothing frightening anymore. 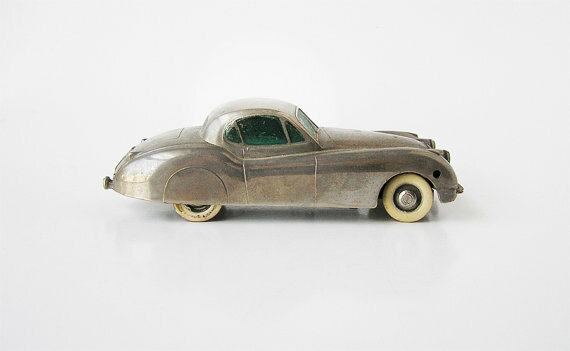 On a lighter mood, I found this vintage Jaguar series for the car collectors! And you know what makes it so special? Lastly, this is one item that I think ALL household should have. Not only the men would like it, I'm sure all the ladies would appreciate such innovative and thoughtful gift as well! It's a clock. Plus a holder for your keys, wallet, sunglass and whatever you need before you leave your house. No more losing of car key or forgetting to bring your wallet out anymore. Brilliant idea eh? I hope you've found some inspiration from the list. If you've missed out my gift list for the ladies, just scroll a few post down.